At long last, the Banaue Rice Terraces are finally crossed off my bucket list! 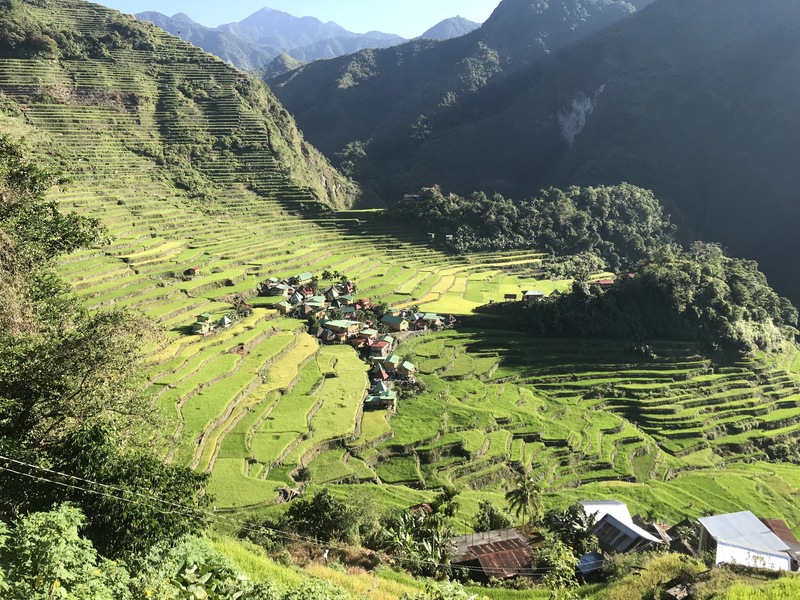 For as long as I can remember growing up in the Philippines, the Banaue Rice Terraces were perhaps the most advertised destination I remember seeing in the Philippines – perhaps more so than Boracay or any other tropical islands in the country. This should not come as a surprise given that many Filipinos consider the rice terraces as a national treasure and the 8th wonder of the world. Legend has it that the Ifugao (natives of Banaue) built the terraces mostly by hand, and is largely believed to be over 2,000 years old. 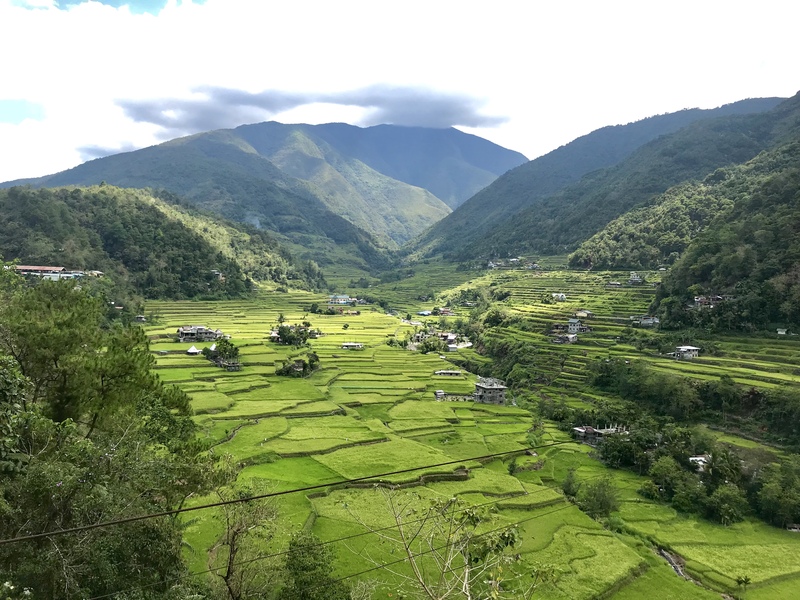 Today, the popularity of the Banaue Rice Terraces are growing at a steady rate every passing year, seen by the increasing number of domestic and international tourists in the province. The Banaue RIce Terraces are situated in the Luzon province of the Philippines, about 372 km north of Manila. There are two bus companies that operate to Banaue: Ohayami and Coda Lines. Make sure to check the website for the most current schedule. The bus ride is actually pretty comfortable. The seats were spacious and comfortable enough that I didn’t feel tired or lacked sleep the following day. TIP: These buses blast the AC to the max to the point where it feels like a freezer inside the bus. Make sure you are properly covered (i.e. no shorts, unless you want to freeze) during the bus ride. Batad’s ampitheather view of the rice terraces is one of the most iconic viewpoints in Banaue. We spent a day and overnight in Batad, where we explored the rice terraces, visited villages, and went “hiking” to Tappiyah Falls. It was an amazing experience and challenging at the same time. It was amazing because of the view (duh! ), but challenging because of the number of steps we had to “climb”. I consider myself a fit person, but those stairs will definitely test you physically – so come prepared! If you do decide to spend overnight in Batad, be informed that the accommodations you will find there are all basic. It’s basically a standard room with bed and a shared bathroom. And considering Batad is a distant village, there is absolutely no signal – so be prepared to be disconnected from the online world while in Batad! I mentioned briefly on point number two on how physically demanding Batad was for me even though I’m a fit person. I don’t care how much you go to the gym or if you go running everyday, trekking hundreds and hundreds of steps is NOT easy! But imagine carrying a heavy backpack while climbing these stairs…. So make it a little easier for you by packing light! 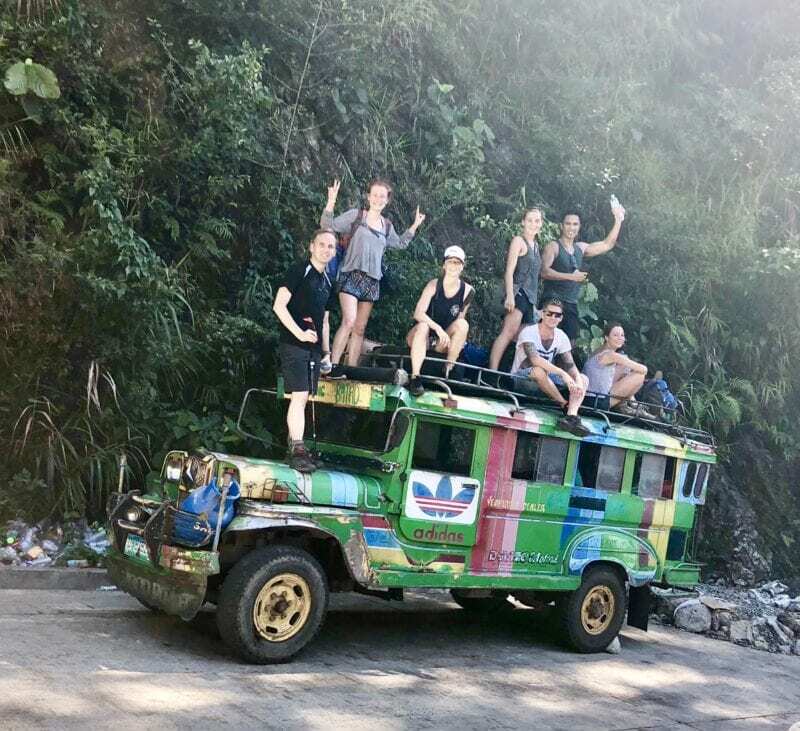 Toploading on a jeepney seem to be one of the most memorable experiences while traveling to Banaue for foreigners. I honestly didn’t see much of the appeal before I getting on top of that jeep (maybe because I’m Filipino? Idk…) But after having done it, I can totally understand the hype with the toploading! The views you will encounter from atop of the jeep from Batad to Banaue will nothing be short of mesmerizing. 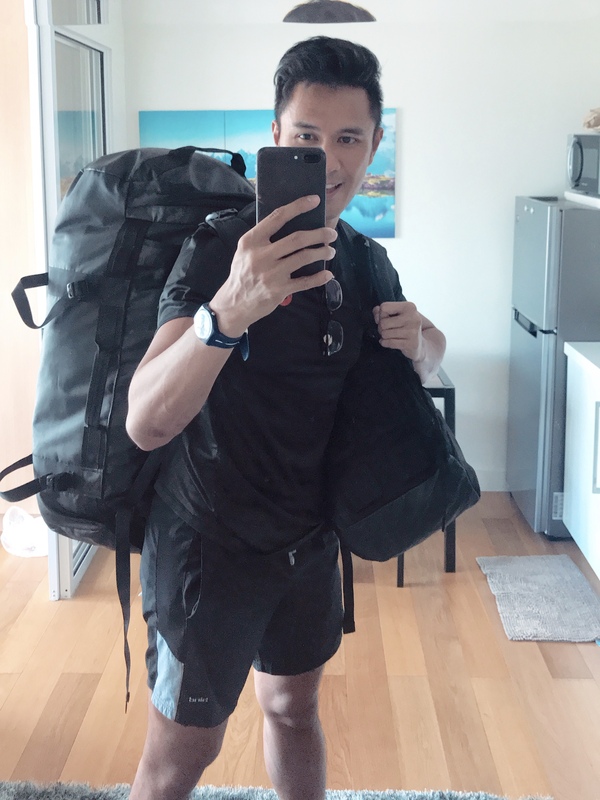 Make sure you have your camera ready to go! Considered by many Filipinos as a national treasure, Whang Od is the country’s oldest mambabatok (or tattoo artist). Many are willing to get out of their way to travel from Banaue to Kalinga (about a 4 hour trip) just to get inked by this legend. 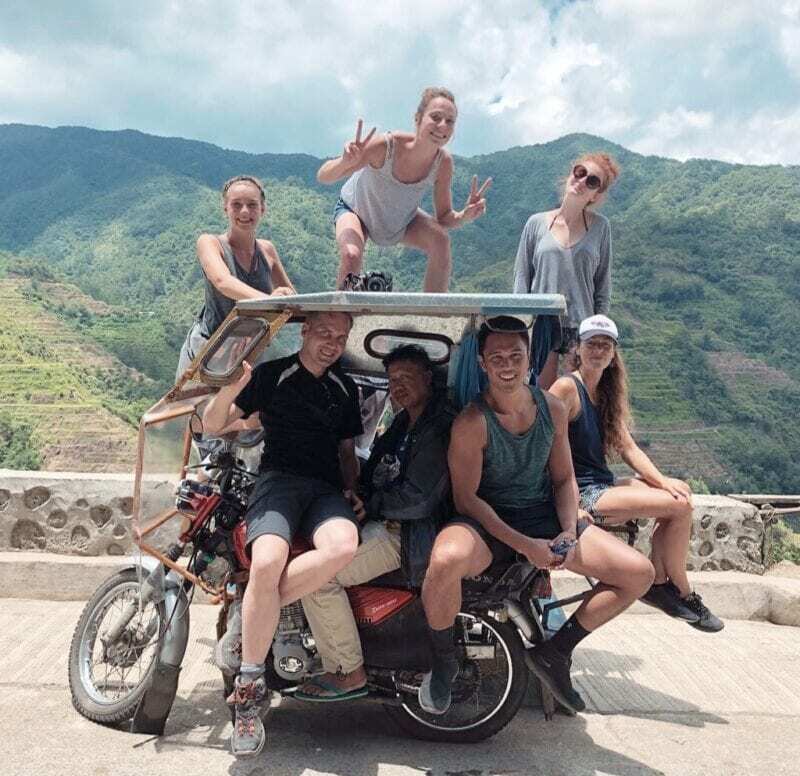 If you are on a limited time like we were, I highly suggest hiring a local tour guide to take you around the main viewpoints of the Banaue Rice Terraces. Actually, even if you do want to explore the terraces on your own, you will be required to have a guide on certain routes for safety purposes. There is a lot to explore, and having a guide will ensure you won’t miss some of the stunning viewpoints you will ever see. This looks a really lovely place to visit. I’m thinking of visiting the Philippines next year and I have to admit I didn’t know about this area but I do now. Will add it to my trip! Hey Sarah! Great to hear you are thinking about visiting Philippines next year! Definitely look into Banaue rice terraces, still not very saturated with tourists! I feel like you’re right about choosing a local guide. Especially as that supports the local economy and will keep you safe. I’m impressed you could handle the physical challenge, though as I’m very unfit! Yes – right on point with supporting the local economy. 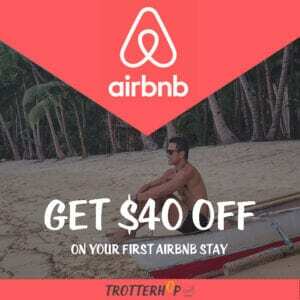 It doesn’t really cost much, plus they are all super friendly and assure you have a great time. Looks like you guys had a fun time! These rice terraces are mesmerising and I’d love to see it for myself one day. Given the landscape, I’d definitely pack light for this! haha yes Lisa, make better decisions than I did about packing light! Great tips on getting there. I might have confused them with the rice terraces in Bali in photos. What a great trip if I go to the Philippines! The rice terraces in Bali are not quite as big – still beautiful though! I wonder if I’ve confused photos of these rice terraces with those in Bali. I never knew they existed. And while top loading seems a bit dangerous, I bet it’s totally worth the thrills! Thanks Jing for sharing that! Looks like you had great fun. I have seen similar rice terraces at Uttarakhand in India and can guess the beauty you enjoyed. These farmlands on the hill really look picturesque. A great post. Lucky you to visit this wonder of the Philippines. Its beautiful, but i haven’t been there. I was thankful to met Whang Od when she visited Manila last year.